Mamelodi Sundowns coach Pitso Mosimane says North African sides manipulate referees and use time-wasting tactics in the CAF Champions League. Sundowns defeated Wydad Casablanca 2-1 in Saturday's Group A CCL tie in Pretoria courtesy of a Themba Zwane brace. 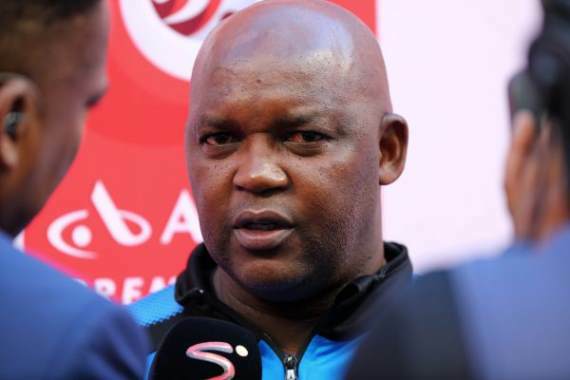 After the final whistle tempers were heated as Mosimane was seen shouting at a Wydad official live on SuperSport television, before further reports emerged of visiting players spitting at Downs fans and officials as they left the pitch. It is alleged that the Brazilians instructed ball boys at the ground to delay returning the ball to the Moroccans after they had gone 2-1 up. Nonetheless, Mosimane was unapologetic for this approach explaining that North African teams are notorious for doing similar things on home soil. He said: "They know how to manipulate the system. They pressurise the referees. "It's the first time I see a referee moving out the pitch looking for balls. It's the first time I see an assistant referee look for balls. "It happens to us every week in Nigeria, but I have never seen a referee go out the pitch. But they pressurise them. It takes the referee out of the pitch to go and fetch the balls. That's why North Africans dominate the space. But we are getting there. "Do you know what happened to me in Esperance in the tunnel? The Esperance officials come to me direct. But we have been there, we have been to Setif. We have been to Esperance. We have been to Wydad, we have been there. We were playing the Libyans, they created problems for us but we shrugged it off. "We are strong now. We have been five years in this. We should know how to play this game." Sundowns' next game in Africa's most prestigious club competition is against Ivory Coast's Asec Mimosas at the same venue on February 1.